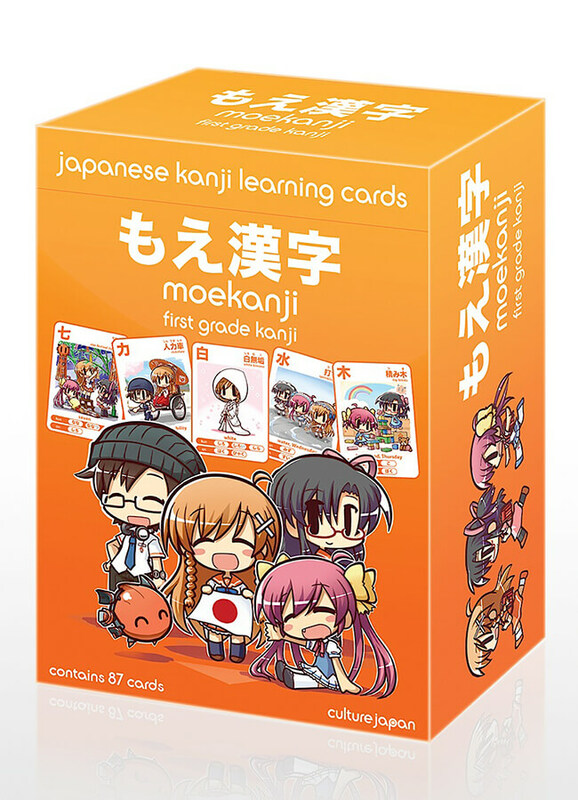 The long awaited sequel to the hit Japanese learning card series Moekana is finally here! 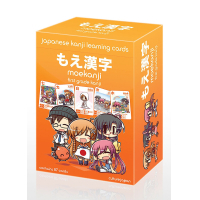 Moekanji is a set of 87 illustrated cards to help you learn first grade Japanese Kanji which include the “On” and “Kun” readings written in hiragana. Join Mirai Suenaga and friends in learning kanji and basic Japanese! 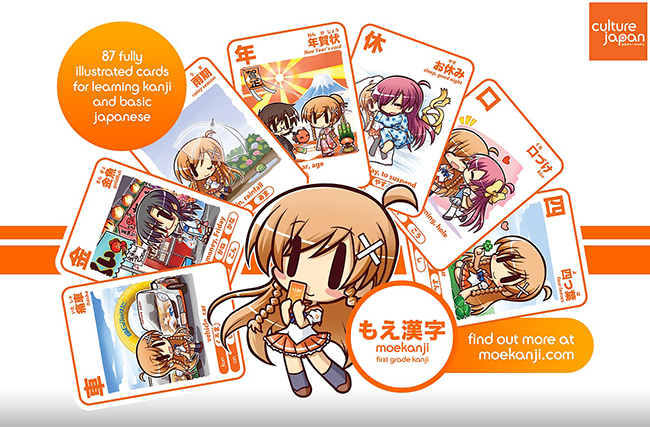 The cards feature the characters of the TV show and website produced by Danny Choo called Culture Japan and are illustrated by the Japanese illustrator Ikkyuu. Knowledge of the basic Japanese syllabary hiragana is required to benefit from Moekanji. If you have not done so already, you can learn hiragana with Moekana!